Website for Radio Sai Global Harmony (www.radiosai.org/), in Prasanthi Nilayam. For program related feedback, write to listener@radiosai.org. For administrative matters, write to office@radiosai.org. Website related feedback to webmaster@radiosai.org. About the eJournal Heart to Heart to h2h@radiosai.org. Click to visit the website for Rádio Sai Harmonia Global do Brasil (www.radiosai.org.br), which broadcasts over the computer in Portugese..
Below, you can read how to listen to radiosai.org on a Windows computer or a Macintosh. There are three streams, with schedules suitable for listeners in Asia, Africa/Europe and America respectively. The schedule webpage is listed above. Real Media Player is available for Windows, Mac and Unix/Linux. MusicMatch Jukebox is available for Windows. 1. Windows Media Player: On Windows, copy and paste the following URL exactly as you see it into the File->Open URL menu item of the Media Player. On the Mac, Windows Media Player for the Mac doesn't play this stream, but iTunes does. 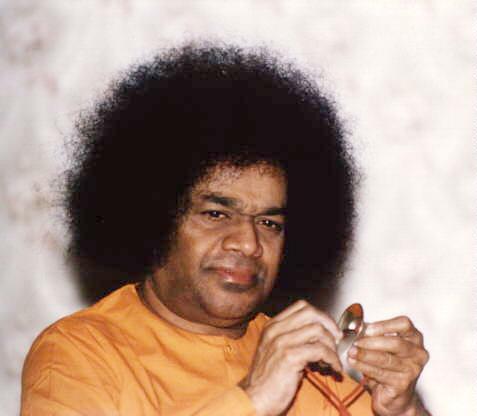 This service is a joint venture of Radio Sai Gobal Harmony and the Sathya Sai International Organization. Send your comments to the Intl Sai Org webmaster or to the Radio Sai webmaster.